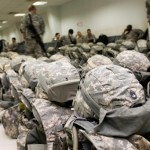 JUNE 23, 2015, by By Tom Bowman for SafeGuard Armor – The United States Army is well-known for equipping its troops with the most technologically advanced gear on the planet, and the body armor troops wear is no exception. Body armor during the Vietnam war could only stop shrapnel, not bullets. These so-called “flak vests” were hot, heavy and inhibited movement greatly. In the 1960’s, a true breakthrough was made by DuPont chemist Stephanie Kwolek, who invented the synthetic fiber Kevlar. Formally introduced in 1971, Kevlar allowed vests to be truly ballistic resistant, blocking out more than just shrapnel. Troops remained using the same flak vests they used in Vietnam for the remainder of the decade. The Personnel Armor System for Ground Troops (PASGT) was introduced in the mid 1980’s and was used by the U.S. Army until the early 2000’s. PASGT was the first to utilize tightly woven together layers of Kevlar, making it lighter and stronger than predecessors. This vest was light (only 9 pounds), and here’s why– although able to stop small rounds and shrapnel, Kevlar cannot adequately protect against rifle and armor-piercing rounds– this requires a heavy metal plates. In 1996, the PASGT was combined with the Interim Small Arms Protective Overvest (ISAPO), designed to hold two ceramic plate inserts. While this provided some protection against larger rounds, it weighed 16.5 pounds, making the total weight of the PASGT over 25 pounds, which many soldiers thought was too cumbersome. The PASGT was phased out in the early 2000’s, and by the time of the Iraq war in 2003, most frontline troops were wearing the next generation, the Interceptor. The Interceptor body proof armor consisted of an Outer Tactical Vest (OTV), which had side and back ballistic panels, made of finely woven Kevlar. The vest could also hold two small arms protective inserts (SAPI), which protected against heavier weapons. The total weight of this vest, including the SAPI plates, was 16 pounds, but after upgrades to the SAPI plates, and introduction of inserts that could protect the sides and shoulders, the weight could go up to 33 pounds. In 2006, the public began to question the effectiveness of the Interceptor and the Army opened up bidding to create another vest. Design changes were made to the OTV, resulting in the Improved Outer Tactical Vest (IOTV). The IOTV design re-distributes the weight to make it easier to carry, and overall is lighter than the OTV while providing more coverage. 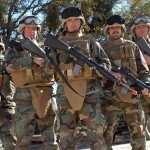 It includes soft armor panels, front, back and side ballistic plate inserts and collar and groin protectors. The total weight of this vest is still a cumbersome 30 pounds, though lighter and more protective than its predecessor. The IOTV is currently the standard for U.S. ground personnel, but that doesn’t mean variants aren’t used. While massive improvements to body armor since Vietnam have been made, the current product is far from perfect– mobility and flexibility need to be improved. So what’s in the pipeline? Funded by the U.S. military, researchers at MIT are looking at using fish scales to inspire next-gen body armor. The idea is that scales, made up of many tiny overlapping plates, can provide ample protection but allow for increased movement. 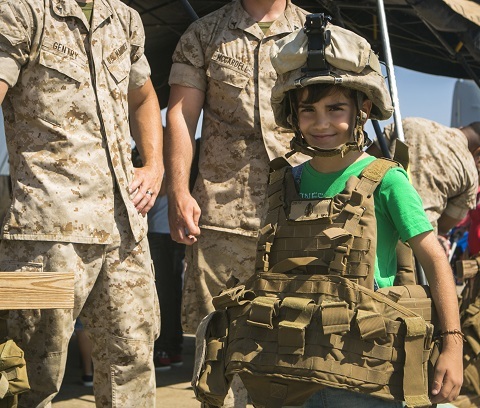 Other research initiatives are exploring the development of body armor that can augment the physical abilities of troops, allowing them to carry 100 pounds of gear without expending extra energy. 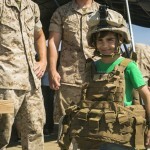 The exo-skeleton design helps support the soldiers weight, which will reduce fatigue and long-term stress on his body. 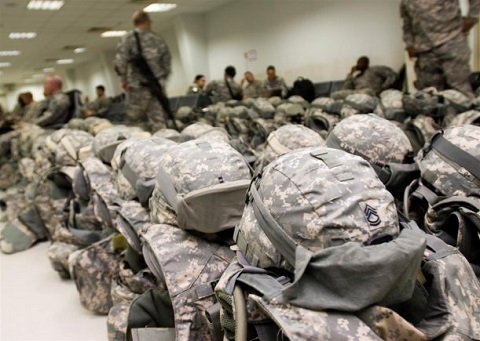 Though improvements in ballistic protection have been made, weight and flexibility are still a main area where U.S. army body armor needs to improve. By Tom Bowman for SafeGuard Armor: Tom has written a number of articles as part of SafeGuard Armor. He uses his expertise in ballistics to write many informative articles for a number of professions.